For single .edat3 files, the file names convey information about the contents of the data files, as do the Experiment, Subject, and Session columns in the File List view. However, as illustrated in the image below, the contents of an .emrg3 file cannot be determined simply by looking at the name of the file or the File List view. One way to determine the contents of an .emrg3 file is to open it in E-DataAid. 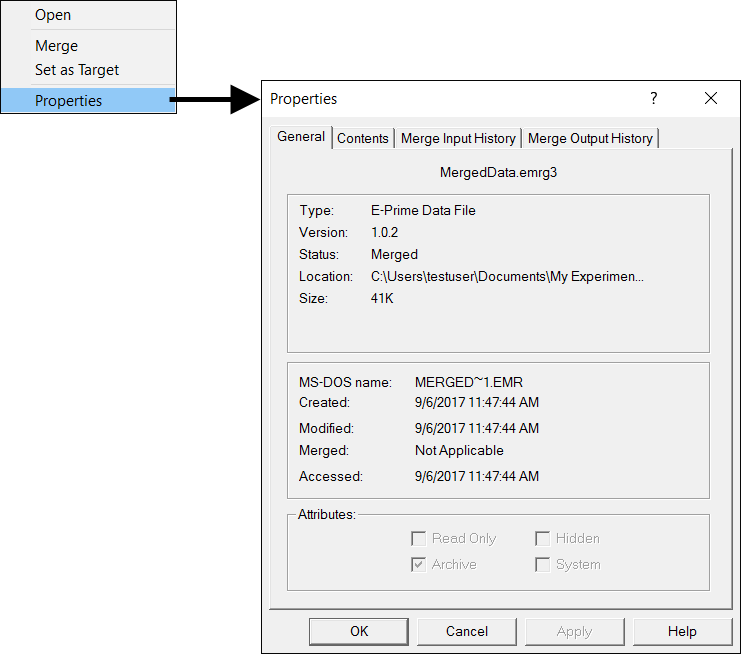 To open a file in E-DataAid while in E-Merge, right-click on the filename and select the Open command. Alternatively, the Properties command may be used to obtain information about a file without actually opening the file. This command displays four tabbed-pages containing summary information about the selected file. To view the contents of the file quickly, select the Contents tab. This page lists the contents of the data file by Subject Number, Session Number, and Experiment Name. The list may be sorted by clicking any column header (e.g., to sort by Participant number, click the Participant column header). 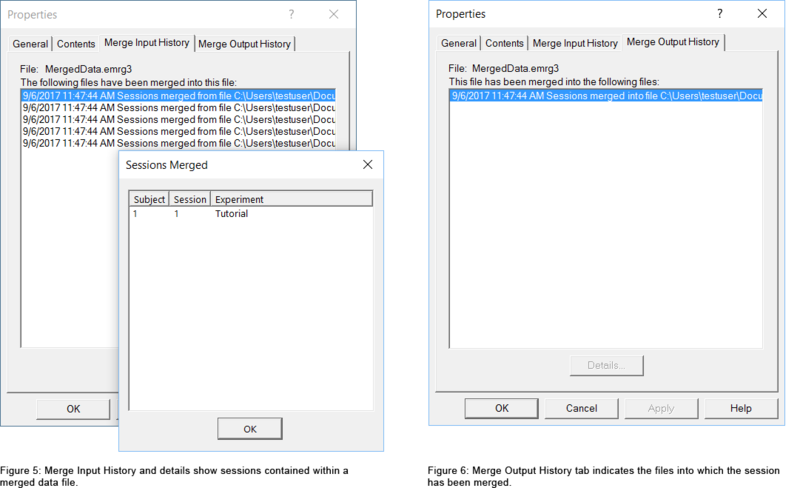 To view the files that have been merged into the file, select the Merge Input History tab, listing all of the files merged into the selected file in the order in which they were merged. To see the entire file name, simply rest the cursor on the name. To view the sessions that a file contained when it was merged, select the file in the list and click the Details button. 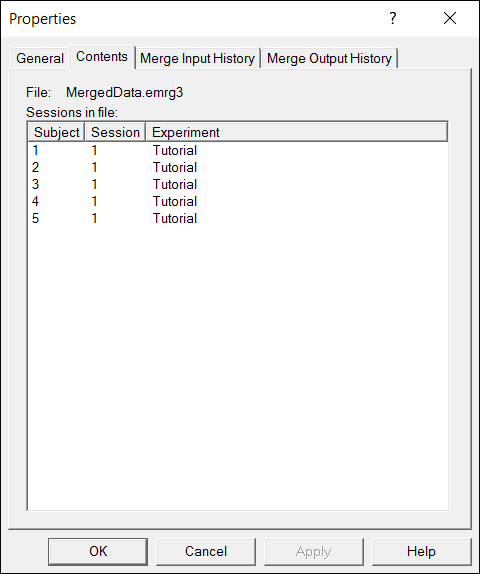 To see if the selected file was ever merged into any other files, click on the Merge Output History tab. This page lists all files into which this particular file was merged.